The UK could become a world leader in advanced pharma manufacturing, including cutting-edge cell and gene therapy – but needs the help of government investment and tax breaks. That is the message of the UK pharma industry body the ABPI on the eve of tomorrow’s budget by Chancellor Philip Hammond. 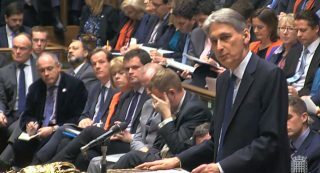 The UK government’s finance minister Hammond is expected to raise taxes in tomorrow’s budget, and will use the extra money to create a contingency fund for Brexit, which he believes could hit the economy in the run up to leaving the EU in 2019 and beyond. 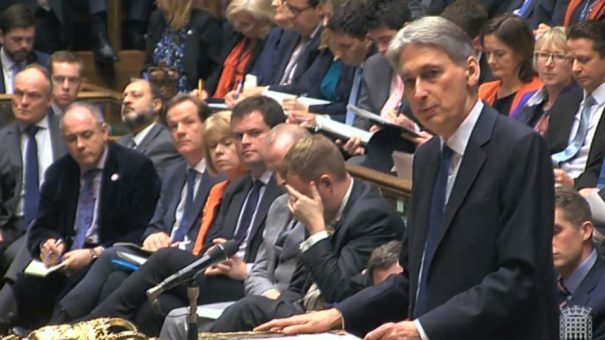 Chancellor Philip Hammond could extend tax breaks for R&D and hi-tech manufacturing. The Chancellor is also expected to restore some funding to social care, but is resisting calls to increase funds to the NHS, despite an alarming decline in its finances and performance. This will disappoint the UK pharma industry, as increasing financial problems in the health service are hitting the uptake of new medicines. Meanwhile, also with Brexit in mind, the government is preparing an industrial strategy for key sectors, and this includes the UK life sciences sector. Hammond ordered a review of the total tax environment for R&D in November and, since then, pharma and biotechs have been lobbying for extra investment and tax breaks. The Chancellor is expected to announce the review conclusions tomorrow, and further tax concessions could help make the UK a world leader in next-generation manufacturing technologies. Special tax breaks for high value manufacturing and research are already in place: an R&D tax credits system and the Patent Box tax incentive were introduced in 2013. The UK pharma industry association the ABPI says it is calling on the government to fund a new Medicines Manufacturing Innovation Centre, and provide further tax breaks for next-generation manufacturing. The UK government is already planning to lower its corporate tax rate from 20% to 17% by 2020, which will give it one of the lowest business tax rates anywhere in the developed world. Only its neighbour Ireland has lower corporate tax rates – and it has successfully grown its economy on attracting hi-tech manufacturing over the past 20 years. 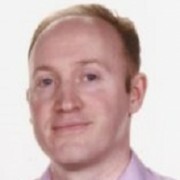 Andy Evans is chairman of the Medicines Manufacturing Industry Partnership and head of AstraZeneca’s manufacturing site in Macclesfield. One of the cutting-edge fields of biotech is cell and gene therapy, and the UK could also be a leader in manufacturing these potentially-revolutionary new products. Cell and gene therapy will require major investment in entirely new manufacturing techniques to make them safe, scalable and affordable. 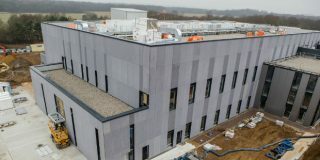 The UK already has considerable momentum in the field – a new Cell and Gene Therapy Catapult manufacturing centre is due to open in Stevenage in the summer of 2017. This is part of the government-funded infrastructure, which could support the rapid development of a new biotech research, development and manufacturing ecosystem. To add to this, the life sciences sector is proposing a network of Cell and Gene Therapy Treatment Centres across the country to bring these new treatments to patients. Post-Brexit, the UK will also have to fall back on its own medicines regulator the MHRA, as it will no longer have access to the EU-wide regulator the EMA. There is talk that the MHRA could also market itself as a specialist in approving cell and gene therapy – an appealing prospect for the UK sector if the government succeeds in creating a joined-up strategy. However the sector is concerned that new post-Brexit immigration restrictions could choke the sector’s growth. This is a particular concern as the UK has become heavily reliant on overseas talent, as it has failed to train enough of its own scientists, engineers and manufacturing specialists in recent decades. The ABPI says that investing to “make sure we have the right skills to develop the UK’s competitiveness in advanced manufacturing techniques” is also essential. To address the problem, the Chancellor is expected to announce a hefty £500 million annual budget to develop the UK skills base, including offering maintenance loans for trainees for the first time.